BHA Aluminium & Glass Sdn Bhd is a professional Aluminium & Glass company. We are located in Johor Bahru, Johor, Malaysia. Over the years, we’ve been providing high quality products and services for commercial and residential projects throughout Malaysia. We specialized in manufacture, fabrication, processing & Installation of a diverse range of products such as gypsum board partition, ceiling & strip ceiling, aluminum composite panel, roller shuttles, aluminium shop front, tempered glass shower, and timber flooring. 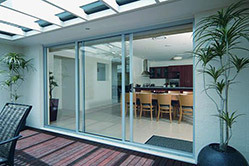 No matter aluminium or glass works, we are commitment to provide the best services for you. In enhancing the stability of the work, we choose to use the best material during our works. These products have gone through quality control system to ensure the products are excellent and safety to use. We always prepared to offer our best services & excellent deals. Welcome to call us or send in for free consultation.